Chartwell Law chose a very special organization to support during this past holiday season, KidsPeace. Employees collected and donated a variety of art supplies from paints and pastels to modeling clay and crayons, as well as toy musical instruments including canastas and drums, to this admirable organization. KidsPeace is a private charity dedicated to serving the behavioral and mental health needs of children. Founded in 1882, KidsPeace provides a unique psychiatric hospital; a comprehensive range of residential treatment programs; accredited educational services; and a variety of foster care and community-based treatment programs to help people in need overcome challenges and transform their lives. 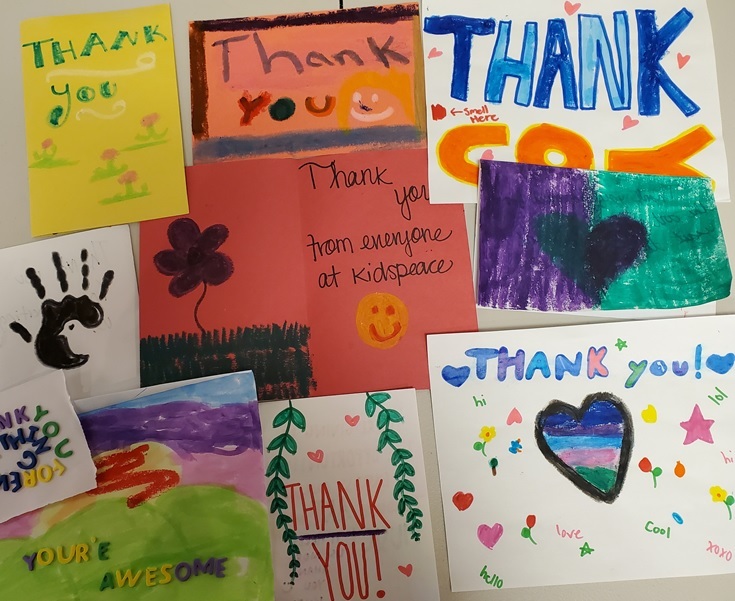 Many forms of art and music therapy are used by the behavioral support staff at KidsPeace to assist children on their path toward hope and healing. 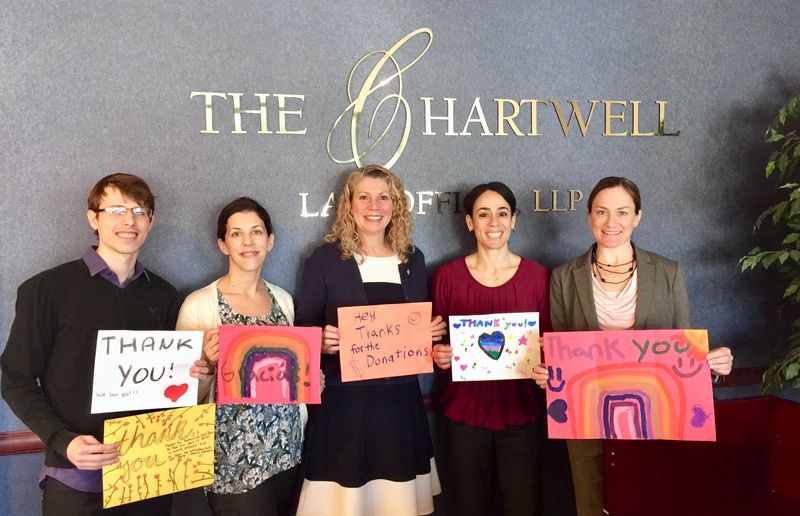 To show their appreciation, the children sent thank you notes to the staff at Chartwell. Employees were touched and gratified as they read the heartfelt notes of appreciation.